It was a weekend full of activity, a perfect way to Fall Back. It started with a mountain bike ride down in Wompatuck State Park with Jeff on a somewhat drizzly Saturday morning. Unknown to us there was a road cycling fundraising ride being run out of the park so we had to park at some random side area but it was a small detour. We road a good chunk of the course Monica and I road a few weeks ago, and explored a few new areas as well. Both of us had our share of falls; I managed to pull a muscle in my chest and get scrapes all up my left arm, but it was worth it. After watching Jeff trying to handle some of the rockier sections on his hardtail, I'm happier than ever with my full suspension 29'er. Sunday we met a few friends for Dim Sum in the morning, then did a bunch of housework before heading to the Fells to take advantage of this great Fall weather. 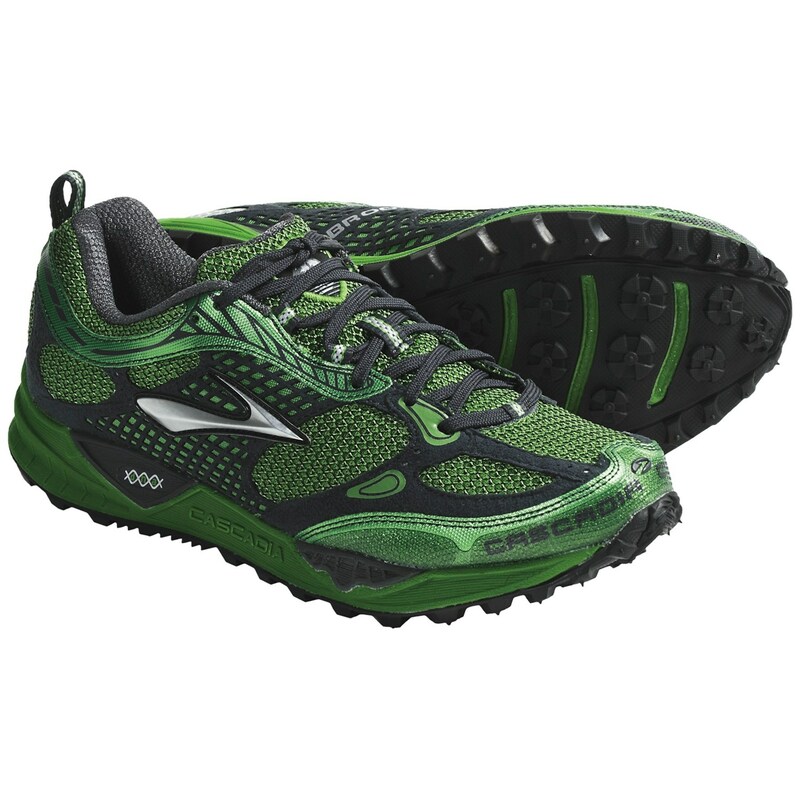 This was the first run in my Brooks Cascadia 6 trail shoes and they worked great. No foot pain, great traction, and they go really well with my Lime Gatorade Hurl Dirty Girl gaiters. It was Monica's first real trail run. We had done running as part of some long hikes along the Wilderness Trail but this was the first time we set out for the purpose of running. She used her Camelback pack with mixed success; I used my Nathan belt. Fortunately, my sore ribs really didn't bother me much. I felt pain when I needed to take a jarring step or twisting motion, and when I tripped and went down it wasn't an entirely pleasurable experience, but for the most part I was fine. On the easy footing flats especially things felt pretty close to normal so that bodes well for some runs this week. We did a modified Reservoir Loop of about 5.75 miles, which is a great way to end the weekend and start the Fall.